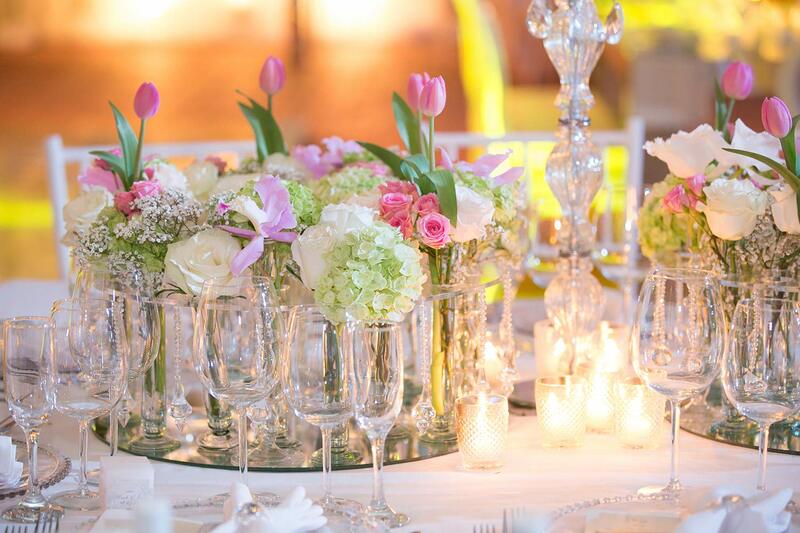 Instead of any standard bouquets we offer you something extraordinary and luxurious! Our high-quality fair-trade flowers are lovingly arranged in our boxes by handwork according to your personal desire. 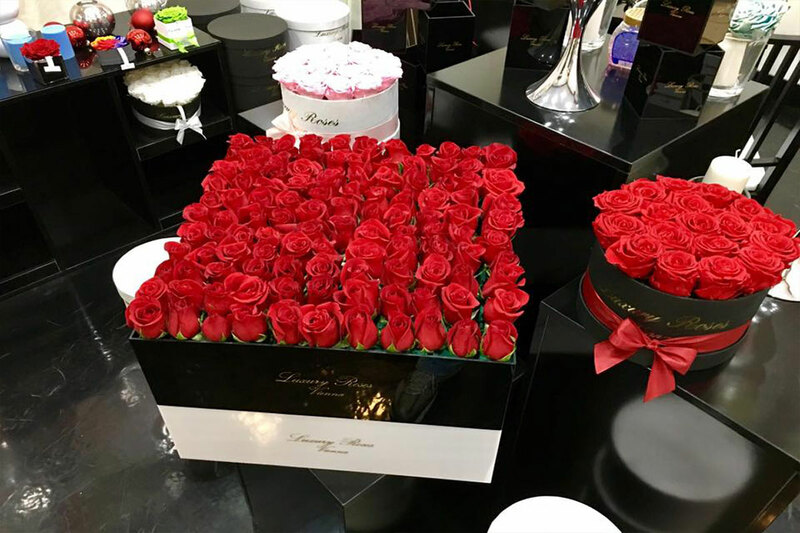 In addition to boxes with fresh flowers, we also offer Preserved Infinity Roses: real roses that are specially preserved for a long life and look fresh for about a year. 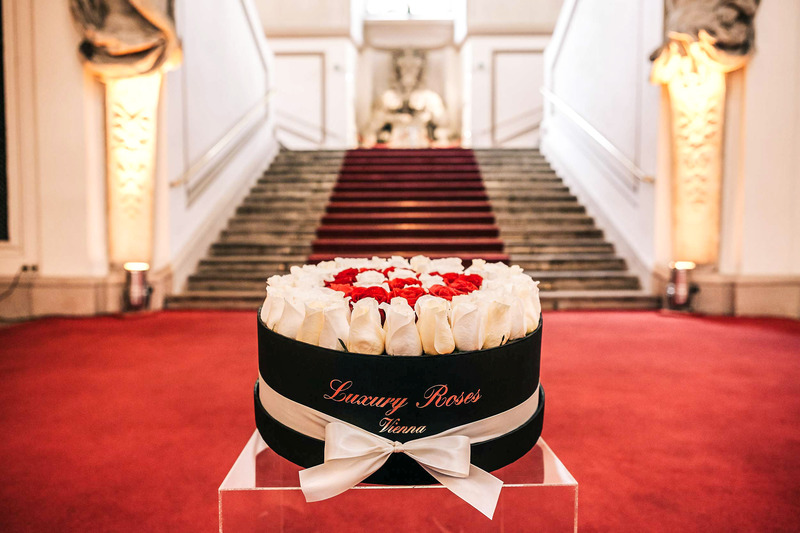 Whether as a room decoration, decoration for celebrations or just to conclude a perfect day – roses always speak the right language! 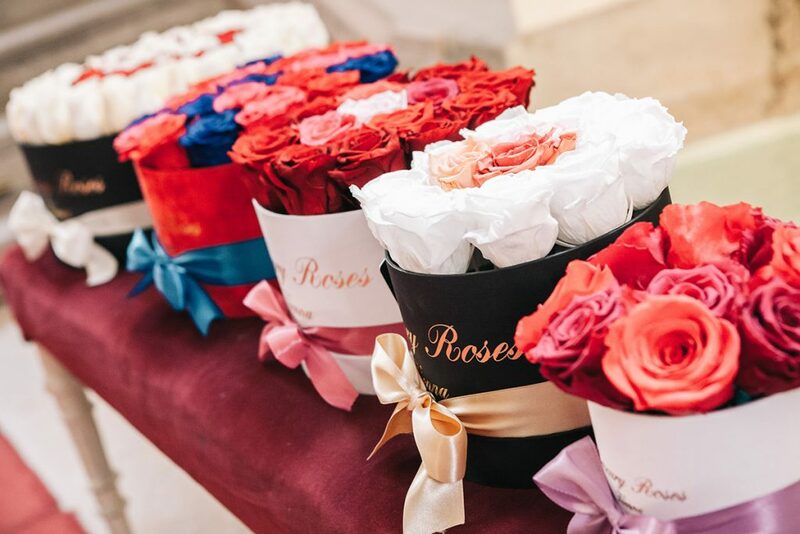 Whether for customers, business partners or private purposes, you can pick up your Luxury Roses in our shop after your order or have them delivered conveniently. 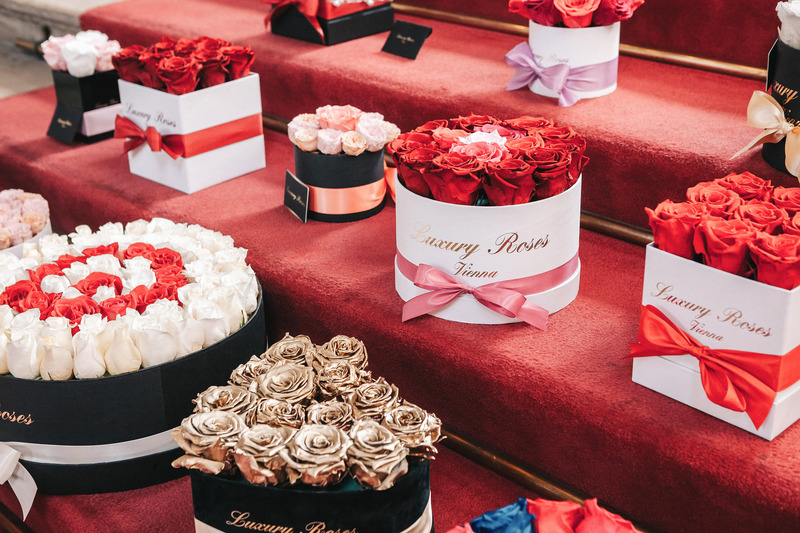 Luxury Roses are available with fresh cut flowers, they stay nice for one to two weeks with the right care – like a regular bunch of flowers. 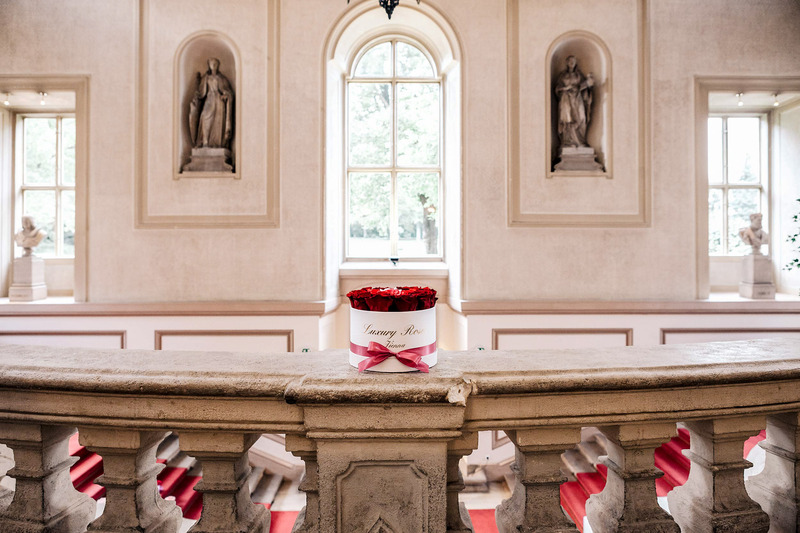 Or you choose our Infinity Roses, these real roses are preserved by special preparation and delight heart and eye for about a year. 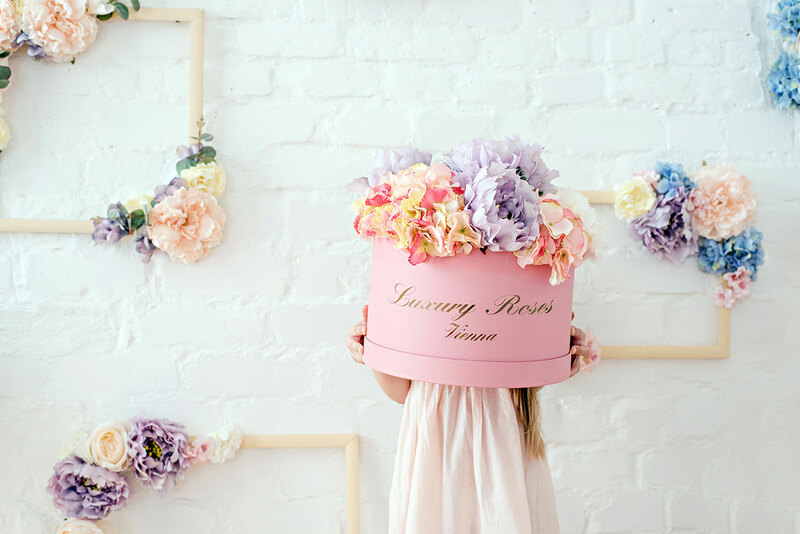 This is especially beautiful for floral greetings with special meaning, but also for example for decoration of your business premises. Flowers say more than a thousand words, and with roses the language is especially clear: a special greeting, congratulations on special events or an extraordinary expression of love. 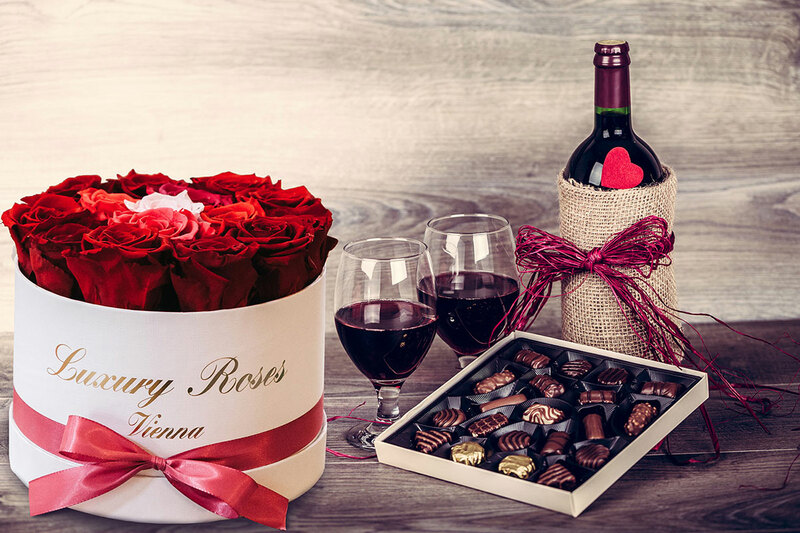 With Luxury Roses, you can be sure to make a great pleasure. 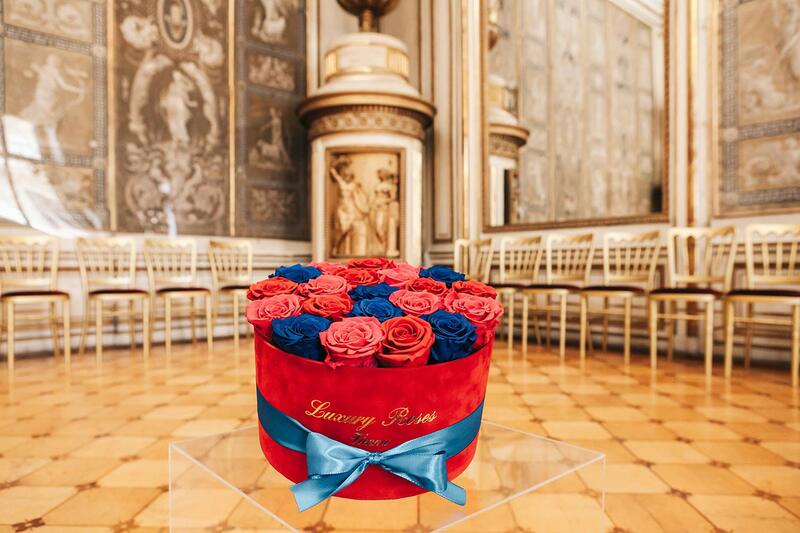 Either with fresh cut flowers – or with the preserved Infinity roses the special moment remains even longer. Since I’m always lost for words to tell you how much I love you, I send you the beautiful words and hieroglyphs of nature, with which she indicates to us how much she loves us. 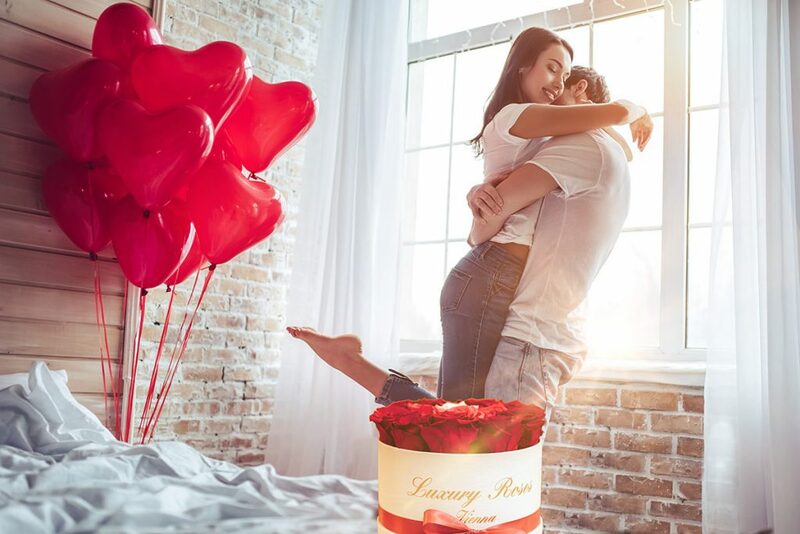 For restaurants, boutiques, hotels and shops of all kinds that want to spread a certain elegance with their room atmosphere Luxury Roses are just the thing. Our Preserved Infinity Roses are perfect for decorating your business for a long time with fresh roses for your customers. We look forward to your inquiry and also advise you individually on site. 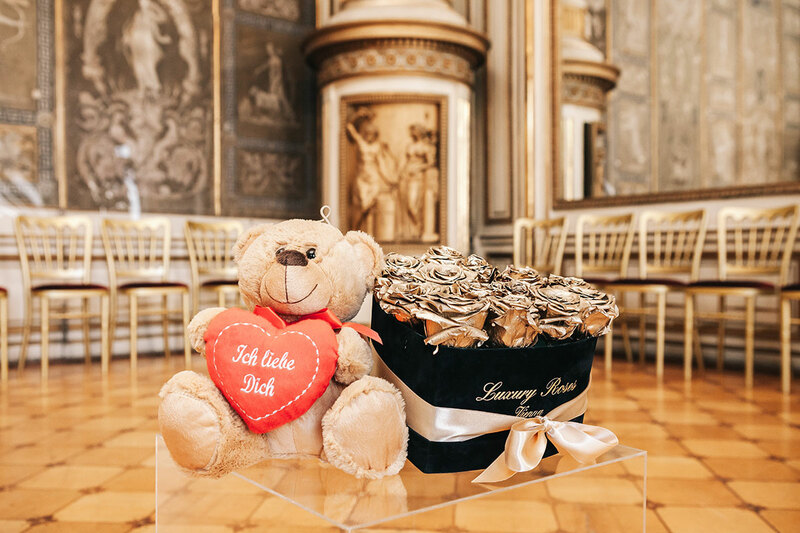 Of course we also offer fast delivery service for concierge services in hotels, a permanent cooperation is also possible for an optimal service for your guests. 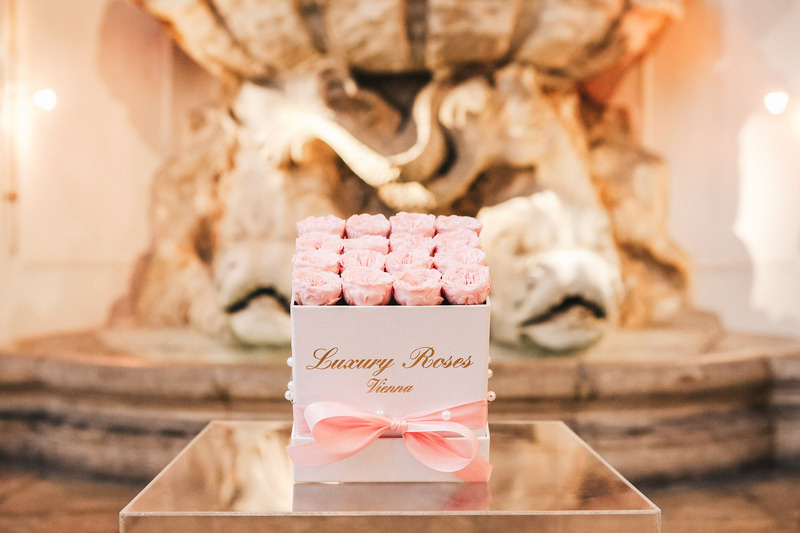 As decoration on the tables and at the reception, the different Luxury Roses variants are outstanding and are an extremely elegant eye-catcher. 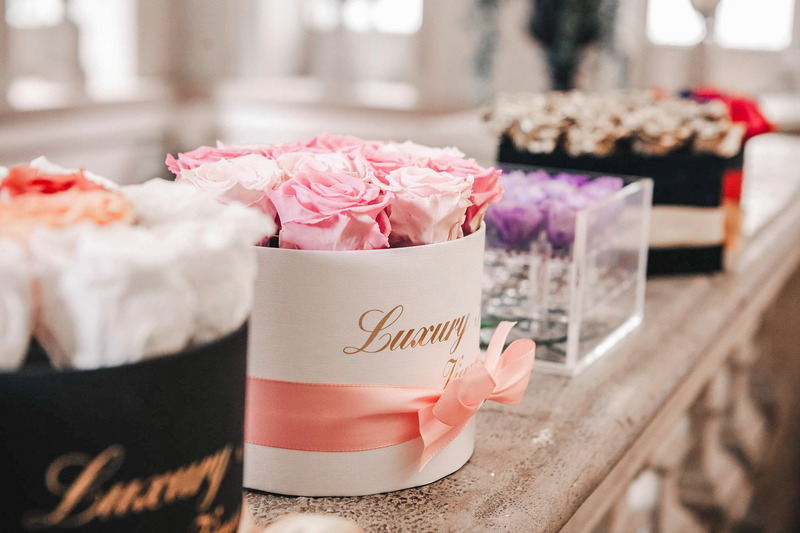 Of course, Luxury Roses do not have to stay in the boxes, our professional florists will make you dreamily beautiful arrangements with the flowers of your choice. We also lovingly handcrafted bouquets for the bride, we are happy to make you an individual offer according to your ideas.